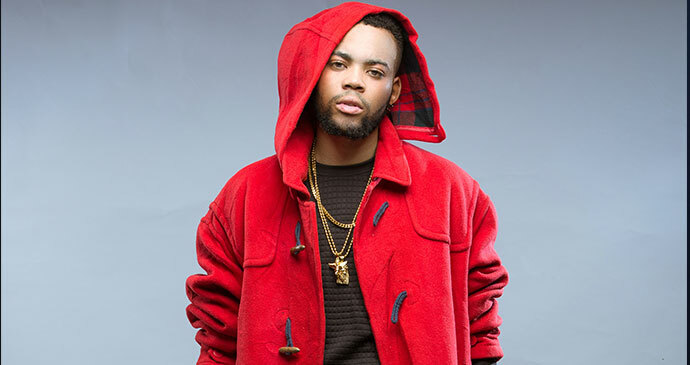 Recall early this year, Rapper Milli, was rumored to have left Chocolate City, headed b fellow rapper, M.I. The label eventually did come out to confirm the exit, putting a rest to the rumors. However, a couple of days back, Milli, took to social media to share some cryptic messages on the reason for his exit before finally coming forth with the details. This letter, however, is not an official statement form Milli’s camp as it was shared in a closed Facebook group majorly dominated by fans of the talented act. The letter which detailed how the entire saga which eventually led to his exit from the label, was broken into five different parts. It’s no longer news that the time has come for me to move on from Chocolate City, but until now, no one has heard my side of the story. It’s been a long journey – one year in 2014 with M.I. writing and co-producing the Chairman album, and another year in 2015 being signed with Loopy and Choc City, writing and co-producing the TICBN album, and working on individual Choc City artist projects. I’m not going to say much out there, about what really happened, that’s why I created this private Facebook group. I don’t want to do interviews and talk about what happened, I wouldn’t even want to write all of it down because it’s quite painful. But I haven’t told anyone what’s been happening, and you guys have been showing me love all this time, even in my absence, so it’s only fair that you know more than everyone else… What I want to share with you will come in five parts and this is Part 1. I started working on the Childish EP in 2014, and all the tracks on the EP were ready by the end of 2014, but when I got signed to Loopy in January 2015, M.I asked me to go back and re-record the entire EP. Around August, after the TICBN promo, it was time for individual artists to drop projects they had been working on before the TICBN album, so I was excited and thought I could finally put out Childish. But then a new rule was invented: New music could only be dropped if it came with a music video… Sigh. More patience. I know some of y’all have been asking about the Wizkid feature and if it that was even true. Well, it did exist, and still exists. I did have a song with Wiz, which was also supposed to have M.I on it, but unfortunately he took it from me. M.I gave me a choice – if I wanted to put out Unlooking, I would have to give up the Wizkid feature. I guess nobody in their right mind would give up a feature with Wiz, but I did believe in Unlooking, and everybody around me wanted me to release it. Also, I didn’t want my first release to be a feature, and I knew I could always find him again, so I gave up the Wizkid track and prepared the release of Unlooking. I created Unlooking in a really unique way. When I first wrote it, the verses were different, not Pidgin, but M.I asked me to rewrite the song, and had me change it from English into Pidgin, to be more “street”… so I did, even though I never enjoyed remaking the song. But I wanted to make him happy so I would get all the support I needed by the time Unlooking was coming out. Unfortunately, after so much time rewriting it, when I finally dropped the song, he didn’t support me and Unlooking wasn’t pushed. He didn’t put much effort into promoting it, I could tell, and after Unlooking, all these new dab songs started coming out and the move that I had started was jacked from me… I saw M.I supporting Olamide’s dab and it really hurt me. Then things started picking up and I did more work with my new team in one month than with Choc City in an entire year, and I’m grateful. They get me and my music. They wanna make me succeed the way I am, not change my sound. They see the big picture, and way beyond Nigeria. Not everyone is happy about my departure from CC though, and even for me, it wasn’t easy to make that decision… In “Everything” M.I. really went deep, calling me disloyal for leaving the family and so on. People in the label office stopped talking to me. It became difficult for me to work with Reinhard, my producer that I introduced to M.I. at the time we produced Chairman. They talked to radio OAPs and other media people and told them their side of the story, making me look bad and as if I don’t care about anyone. It’s scary and I don’t know what will happen but I’m ready for the challenge, and as long as you guys have my back and help me post, RT, Regram and spread the word about the #UpNextMovement and my new music to your people, we don’t even need all the fake hype! Much more happened than what I’ve told you, a lot of personal things that really disappointed and hurt me deeply, coming from a person I admire and respect so much. I won’t speak about details because I don’t want this to be about any of those personal things. That’s between him and me. #DontAskMeWhatHappened. But I will never forget how I was put down again and again, how my confidence in my sound was broken, and how it was impossible for me to put out my music. I even stopped believing in myself at some point… Your messages all this while really helped me a lot and gave me new motivation. I felt your love and I’m grateful for that. What I’m going to drop this week is daring, but it’s my way of overcoming my fear, stand up for the Art I believe in and move on. I hope I can count on you to have my back and get others to join the #UpNextMovement. The Movement is about the art of good music, and about giving other artists that make “different” sound the courage and strength to BE different, instead of getting frustrated by the industry. I’m sure many people will say I’m ungrateful and I want to cause drama but what I really want to do is to leave the old structures behind that suppressed my art and my sound, follow my dream and #SetArtFree! That’s my mission with the #UpNextMovement. We need to allow Art to exist in Nigeria and I’m not shutting up no more. And if that upsets some people, so be it. Bless u all & thanks for being with me.